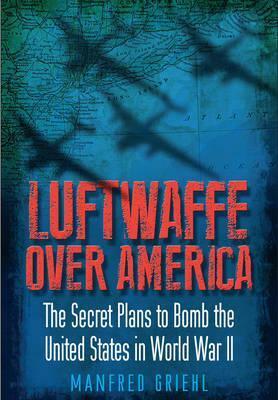 This thought-provoking book examines the Nazi German plans to raid and bomb New York and the eastern seaboard in the event of a successful invasion of the Soviet Union. The plans rested upon the use of transoceanic aircraft, such as the six-engined Ju 390, Me 264 or Ta 400. The Third Reich was unable to produce these machines in sufficient numbers, however, if the Soviet Union had been conquered, these plans would have become a reality. With the seizure of vital resources from the Soviet Union the Wehrmacht would have had enough fuel and material to mass-produce giant bomber aircraft: it was a near-run thing. The collapse of the Wehrmacht infrastructure and the premature end of the Thousand Year Reich ensured that plans for long-range remote-controlled missiles never got past the drawing board. This fascinating, thoroughly researched study offers valuable insights into how Germany developed new weapons and shows why the attempts to develop long range bombers were frustrated until they were terminated by the end of hostilities. Includes more than a hundred rarely seen photographs and original plans."